At Trehill Cottages and Wentworth & Sunningdale at Oakridge St Mellion, guests receive free memberships at the nearby China Fleet Club. China Fleet must rank as one of the finest leisure clubs in the South West. Set within its own huge grounds with stunning views over the Tamar River, China Fleet offers guests an unparalleled range of facilities. 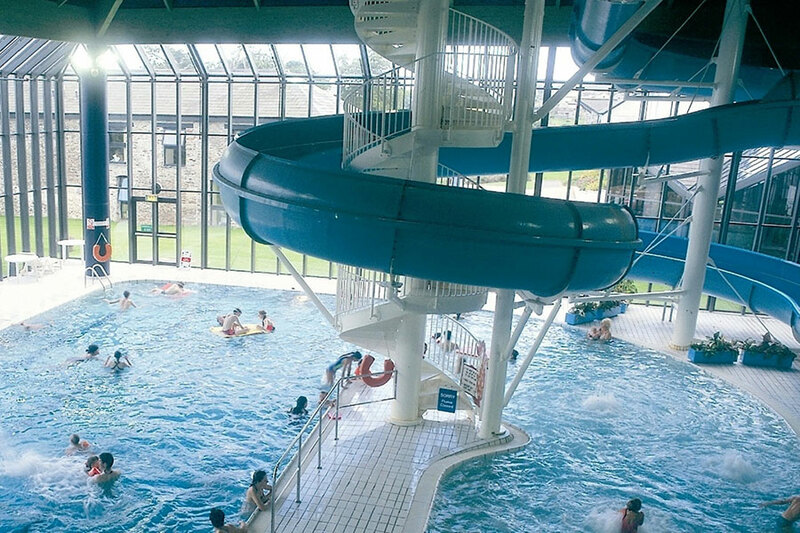 This includes gym, squash, tennis, indoor tropical pool with slide and a stunning new Spa facility. Extra day passes can be purchased from the club if required - Child memberships are valid for ages 17 and under. Children under 6 do not need memberships. China Fleet has a huge indoor tropical pool complex with water cannon, fan feature, bubble seat, air geezer and a large indoor flume. There is also a toddlers area as well as 25m lanes for more competitive swimmers. 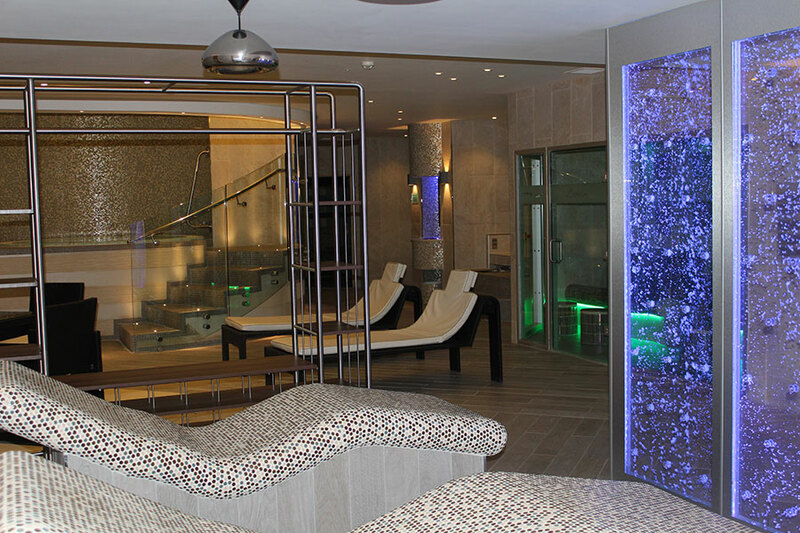 The brand new Aqua Spa includes Jacuzzi, Steam Room, Sauna, Monsoon Shower and relaxation area. Beauty treatments can also be arranged at an extra cost. 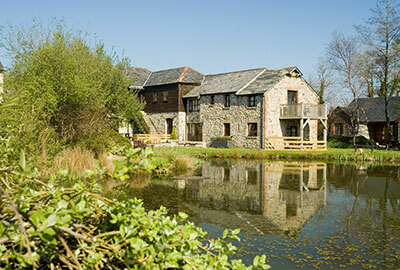 Aqua Spa at China Fleet – part of your inclusive China Fleet memberships at Trehill Cottages. 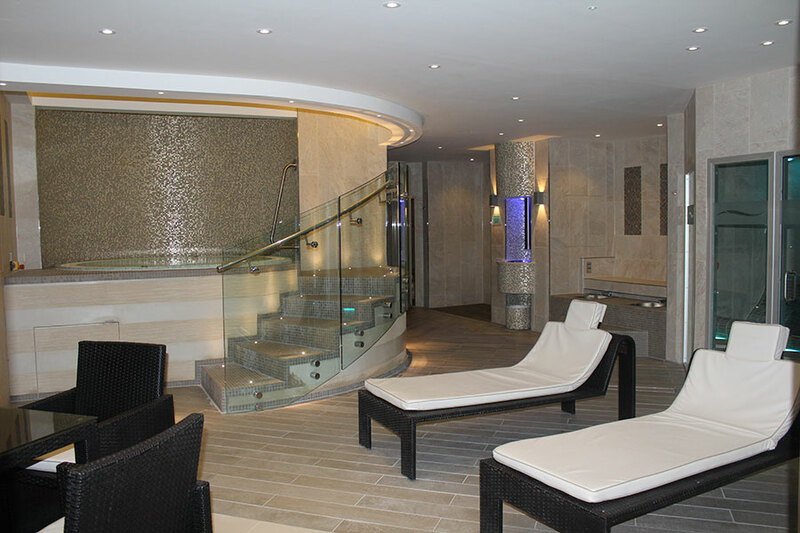 The China Fleet club has just re-opened its spa facility after a £500,000 make-over. 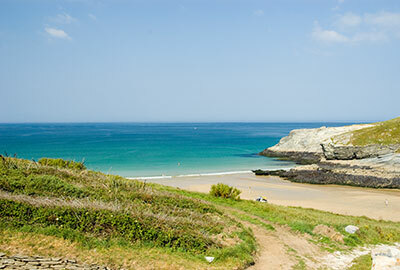 We feel that it now has one of the best spa facilities in the South West. 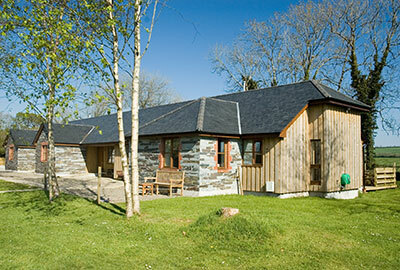 This oasis of calm and indulgence is now included in all Trehill Cottages holidays. “The Aqua Spa has been designed to stimulate all of the human senses. 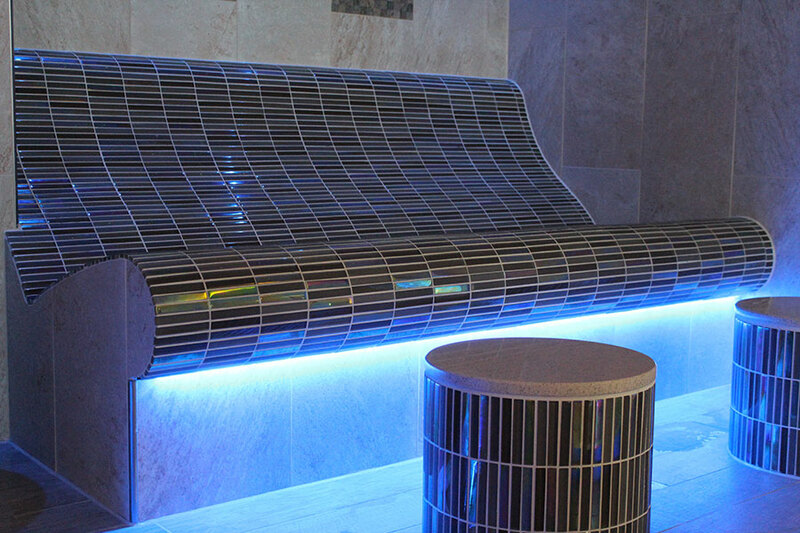 The soft coloured lighting is complimented by a choice of natural tiles, designed to create a warm ambient atmosphere, helping you to relax and achieve the full health and wellbeing benefits from your visit". Laconium - Recreates the atmosphere of a Roman sauna with heated walls and seats resulting in the purifying and detoxification process of the body. Enjoy the gentle relaxing music, fibre optic lighting and aroma essence infused into the room. Finnish Sauna - Experience the health benefits created by the enhanced blood circulation, relaxation of the muscles to assist in muscle and ligament related problems..
Salt Steam Room - The lower temperature and the salt inhalation injection system creates air reminiscent to that experienced whilst walking by a tropical beach. 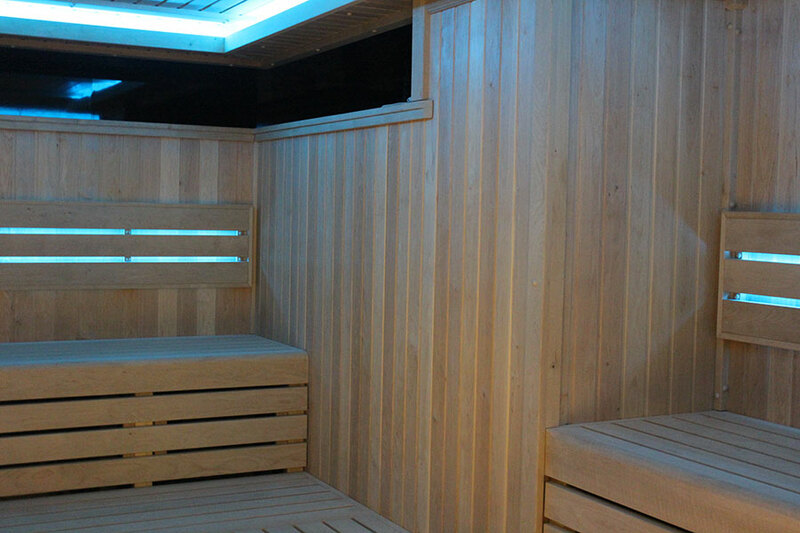 Aroma Steam Room - This has a more traditional feel, incorporating exotic essence mingling with a gentle flow of steam, complemented with colour mood lighting. Tepidarium Loungers - Lay on the contoured heated ceramic loungers designed to achieve deep relaxation. Ice Chute - Ice flakes fall into and collect in a sculptured bowl. You can enjoy the wonderful stimulating tingling on your skin by rubbing these onto your heated body. 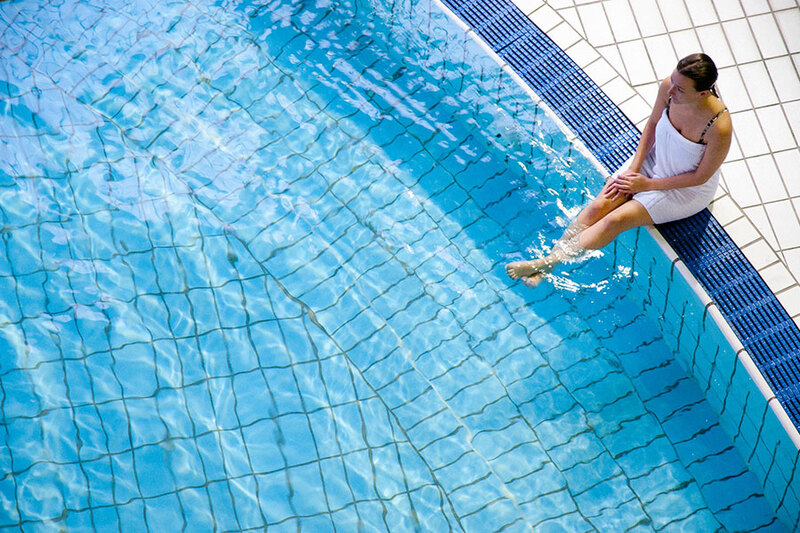 Foot Spas - Tiled seating and a fully automated spa system with air blowers allows the perfect foot therapy. Spa Pool - A unique water experience with multiple floor, seat and side mounted jets to ensure a constant water flow. The ideal way to warm and relax those muscles. Caribbean Storm Shower - The perfect way to cool down or rinse off between heat treatments. Offering either Tropical warmth, Arctic cool or Refreshing mist. This is further enhanced with the infusion of aromatherapy oils whilst you shower. Cold Shower Experience - This provides the ultimate for those wishing for a cold experience. There are 2 tennis and squash courts and an indoor gym area that can be set up for badminton (no charge) or basketball (extra cost involved). 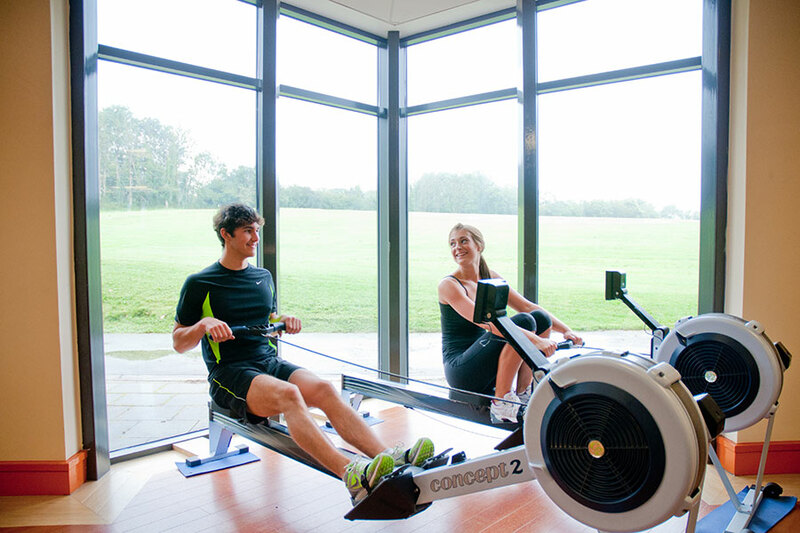 The club also runs exercise classes that you can attend at no extra cost. 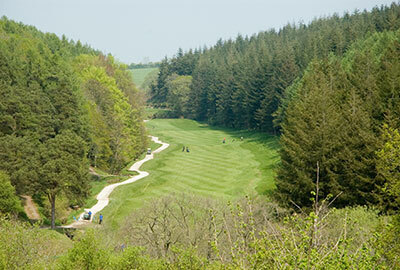 There is also a coffee shop, 2 bars and a restaurant as well as the 18 hole championship golf course (extra charge).